The Musandam Governorate is the smallest part of Sultanate of Oman and is located at the tip of the Arabian Peninsula. The Musandam peninsula separates the Persian Gulf from the Gulf of Oman and the unique separated natural rock formation overlooks the Strait of Hormuz, which is one of the biggest waterways in the world. The other famous name given to the region is “The Norway of the East” that is attributed to it akin to the high rough rocky cliffs found in Norway. The cliffs for very beautiful fjords that are more commonly found in colder regions with glaciers. Khasab is the region’s capital and a few other small cities and townships inherent to the local fishermen exist in the region. Visit beautiful Khasab Oman and explore culture, traditions and life style. 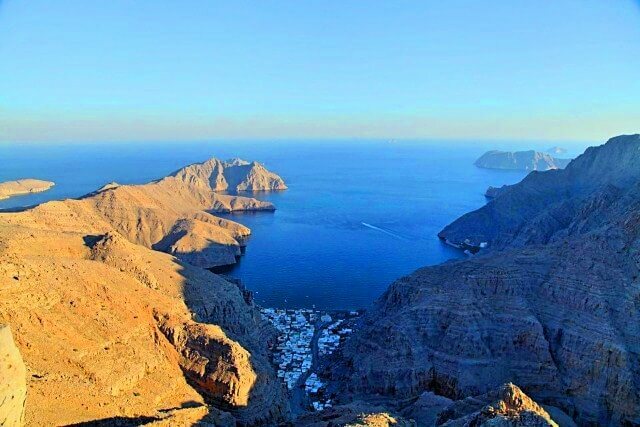 Use the combination of the following options to plan a Musandam Oman trip. 1. Khasab dhow cruise: an adventurous boat ride along the coast line and beautiful Musandam Fjords charms most people up. The warm clear waters offer much to the eye with a usual Dolphin watching opportunity that never seems to stop. With Dhow cruises and other cruises offering plenty of lavish opportunities, the waters of the peninsula never fail to amaze visitors to the max. Diferent options for dhow cruise available such as Half Day Dhow Cruise Tour & Full Day Dhow Cruise Tour. 2. Khasab Fort/Castle: historical and unique architecture of the Khasab Castle in the capital city and the beautiful Bukha fort located 30 km away from Khasab are sites to see. You can learn a lot about the history and tradition of the region from the tour guides and take those pleasing pictures with you. Khasab fort build by Portuguese in 17th century. Castle is in the center of the city opposite side of Lulu Hypermarket. You will find lots of old traditional stuff. Small entry fee to visit castle. Our city tour package option which include visit to fort. 3. Mountain safari: powerful vehicle can also drive up the breathtaking Musandam shorelines provide all the safari adventure you could wish for. The mountain road on the Eastern Side of the peninsula offers the most spectacular of drives but only if you are an adventure head. Faint hearted people should avoid this one. The tall and high Jebal Hareem (Mountain Hareem) offers plenty of spectacular views and cool temperatures for you to spend as much time as you want. Make sure to get a 4WD vehicle to get there, it is at a slight far distance from the mainland. 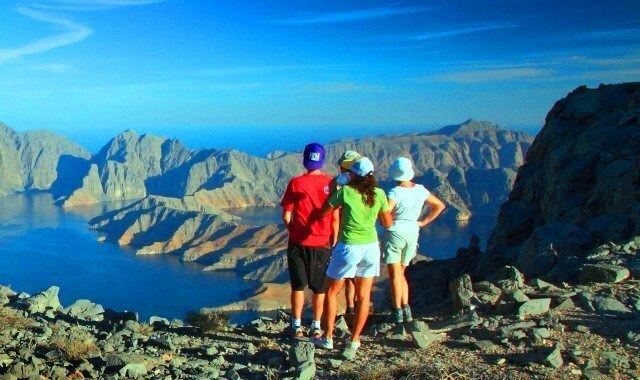 We have Mountain Safari trip that cover all the spectacular sightseeing's in Musandam. 4. 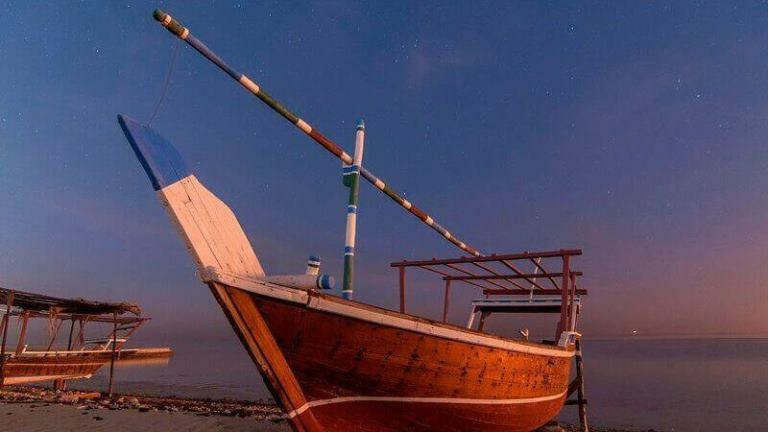 Overnight Dhow Cruise: Overnight dhow cruise is one of the most admired attractions in the whole region. Various dhow cruises or other modern cruises and boat trips anchor their boats at locations like the Telegraph Island, Seebi Island or other small Islands spread across the peninsula for some peaceful and calm overnigh zen. If it is peace and quiet you're after choose Musandam Overnight Stay on Dhow Cruise. This will be calm and quiet night overnight with B.B.Q. dinner on board. 5. Beach camping: is also one of the most admired attractions in the whole region. Camping is the much loved activity by tourist with families or singles. Various campsite available for remote beach camping. Wild camping in Oman is legal and you can find a spot you like and set up camp. Bassa Beach is a free campsite in Khasab. 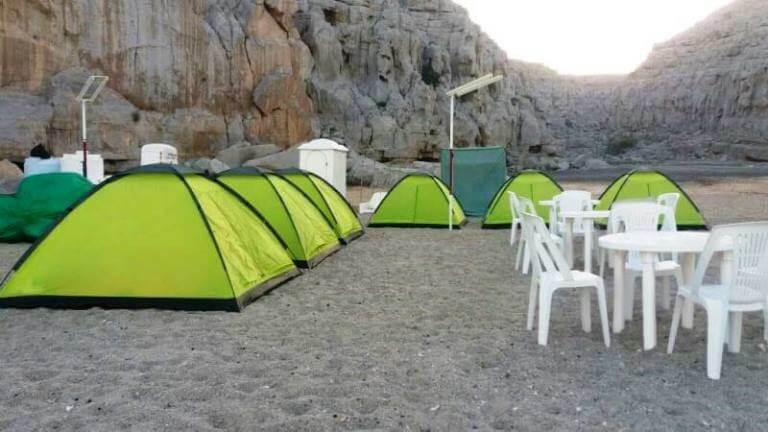 We have option of Khasab remote Beach Camping inside Musandam fjords. Our campsite have some basic facilities such as tables and chairs, toilet, lights, shower & bone fire. Delicious Barbecue Dinner at campsite with unlimited refreshment's. Tents will be provide in all sizes for adults & kids. 6. Fishing trip: some basic gears lines & baits on the dhow/speedboat. Fishing boat tours is all about entertainment & fun. 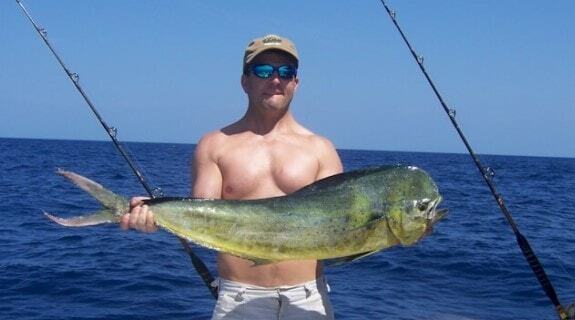 Enjoy real fishing, choose our speedboats/dhow. You can also just sit and relax on the dhow, we will takes you to the main fishing area where you can enjoy the real fishing. 7. 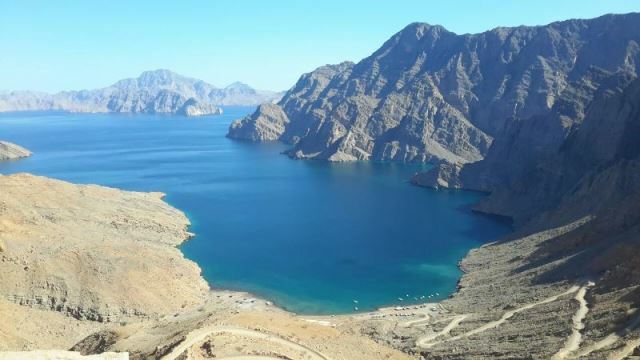 Trekking: Khasab Musandam offers visitors a lot of opportunities for trekking. Best time for trekking from November to April. Trekking is the best to way enjoy the beauty of high mountains. Places for hiking are Sham Village fjords, Kumzar village mountains & some other nice places. We drop you near the trekking routes & arrange guide upon request. 8. 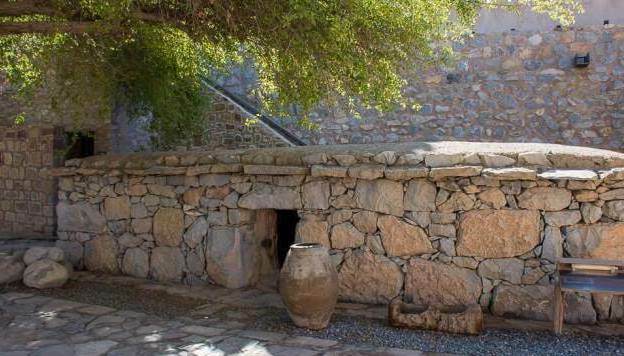 Kumzar village trip: the far separated villages like the Kumzar, Nadifi, Qanaha or Seebi villages offer plenty of rich history about the Musandam Peninsula and are very warm hearted to visitors from all over the world. Most of these villages are only accessible by boat and will offer plenty of swimming in warm waters when preferred. It is located on the Strait of Hormuz. The nature of this village is shrine. Enjoy shrine village of nature, and from the noise wherein meet the mountain coast, and combines the clarity of blue water with Kumzar trip. Most villagers rely on fishing as their primary craft. Kumzari have their own language called Alkmazarih combine many languages around the world Farsi, Hindi, Arabic, English and Balouchi language. 9. Diving and snorkeling: diving and snorkeling are some of the most enjoyed tourist activities in the entire regions with dozens of sites offering great opportunities. The Telegraph Island is known for the coral formations underwater and the colorful fish to charm up almost every mood perfectly. 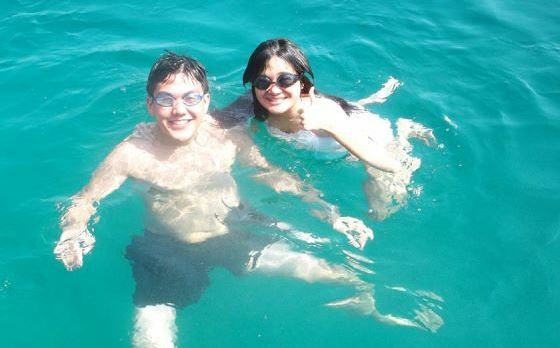 Dive all you want and see all the underwater activity in crystal clear turquoise waters of the peninsula. There are plenty of great places to stay in Khasab including hotels like the Khasab Golden Tulip or the luxurious Six Sense Zighy Bay. Camping is a much preferred option for many people as well and getting to Khasab from anywhere in the UAE is not a problem. The road network is very reliable or you can boat your way avoiding all the visas if you are coming from a nearby state. Khasab Sea Tours is one of the highest rated tour packages providers in the peninsula. Our packages get you everything from Dolphin watching to camp in the calmest Islands. Services include public Dhow Cruises or Boats with comfortable seating and delicious food offerings or you can get private boats as well.